The Winner is Choulyin Tan and Nicole Sim! Congratulations ladies. Hey there ladies! So sorry for the delay of this Giveaway, I know it has been about exactly or close to one month. The reason is because I was waiting for stock of the products of this giveaway and now they are finally here! Yay! 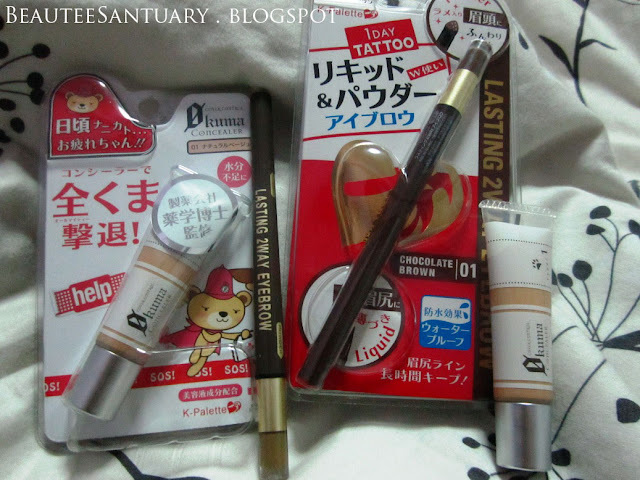 These are products are worth a total of RM209.60, but I'll be dividing them and there will be two winners! 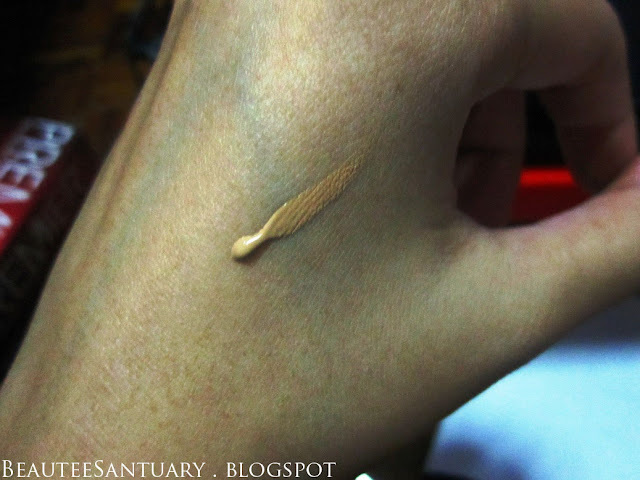 If you aren't sure about the concealer tone, don't worry because code 01 is suitable for most Asians. But I'll show you the swatch. Those who failed to follow all of the above will be skipped during winner selection. "Over the past 3 years how many eyeliners of K-Palette sold in Japan?" (You may refer here for answer) along with the package you want. 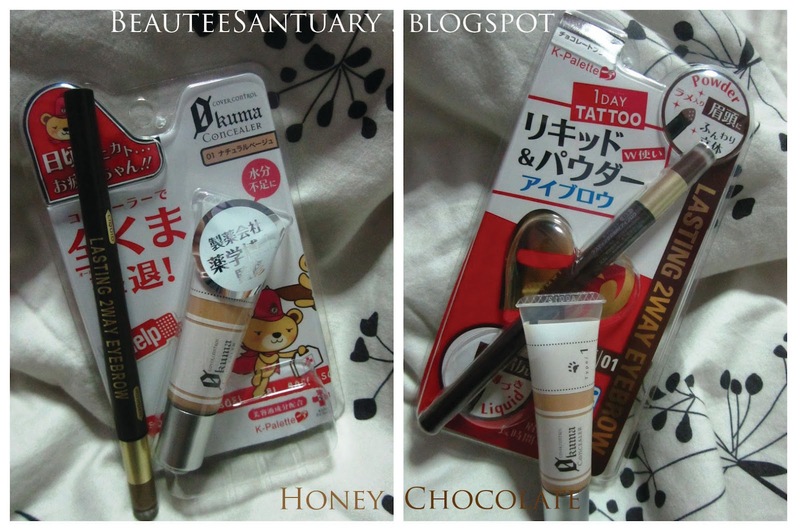 The package on the left is Honey, right is Chocolate and they are based on the eyebrow pencil colour. That's all! I know this giveaway is a lil tougher than my previous ones, but it's because this is bigger than my previous ones as the products are worth RM104.80 each! Winners will be selected at random, YOU MAY COMMENT AS MANY TIMES AS YOU WANT. So I now wish you all the best! This Giveaway is open to Malaysia only. Giveaway closes on September 3rd, 2012 at 11.59 p.m.
1 billion pieces sold over the pass 3 years! I would like to have the Honey package! And I want the honey package pls pls pls? here to try my luck once more >.< hehehehe do I still need to answer the question? It's 1 billion ^^ saya mahu pakej Cokelat :D thankies!!! satu kali lagi datang spam >.< hehehe can I have the Chocolate package please? :p answer's 1 billion ^^ thankies!